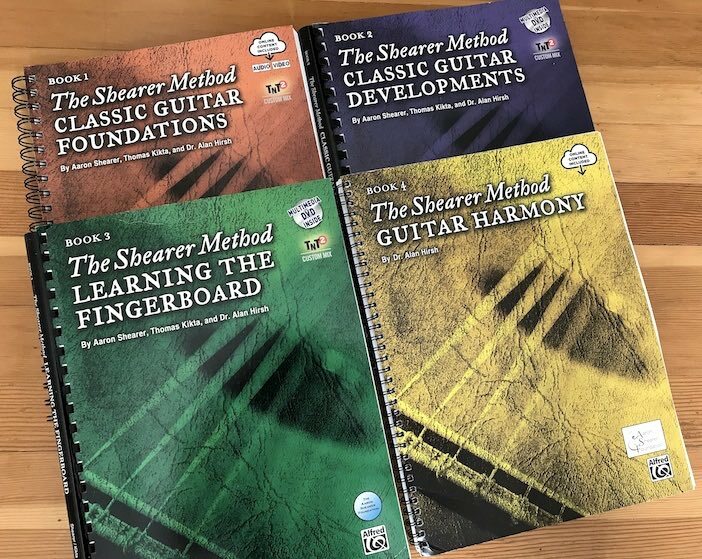 I recently looked at Book 4 from this series and was very pleased to receive the complete set from the Aaron Shearer Foundation. 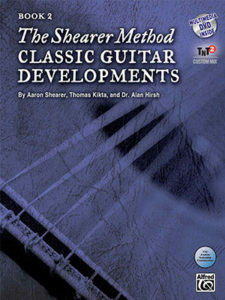 I have used the old series for a long time, in particular the Classic Guitar Technique and Scale Pattern Studies but this new series by Aaron Shearer with videos by Thomas Kikta and compositions Alan Hirsh is at a whole new level. 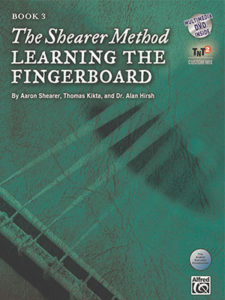 The first three books, written by Shearer, are a result of a lifetime of playing and teaching. 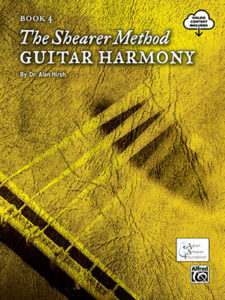 Book 1 dates back to 2012 but with this year’s release of the new harmony book by Alan Hirsh, the set is even more complete. 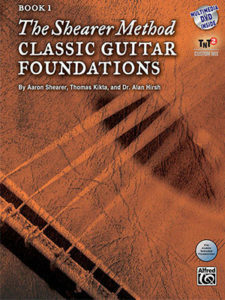 Dynamics and musicality exercises early in the book. Multimedia – The TNT2 Technology allows you to watch videos and listen to audio. 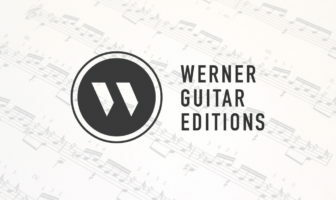 The best part is your can speed up or slow down tempos, control the volume for the different tracks, hear only one part of the duets, turn the metronome on and off, loop sections and more. Criticism? It’s difficult to find fault in such a comprehensive and well structured series. That said, I’m not a huge fan of teaching through books with tons of text and explanation, it can sometimes be rigid and confining. But, for ages 13 and up I think it’s fine as long as there is a good teacher to simplify, filter, and add context to the information. It’s important to look at these books as an educational endeavour rather than a full curriculum. These are great to use during the first half of lessons and/or practice session while leaving the second half for special concert repertoire and fun projects that inspire the student. Books 1 and 2 do include sections titled “Repertoire from the Masters” (Carulli, Sor, Giuliani, Mertz etc), however, the majority of the works are original and concisely fit the educational goals. I’ve learned from teaching my own students that for the first few years it’s best to secure their technique before allowing too many technical oddities appear, that’s the problem with canonic repertoire. The pieces in this series offer the student an opportunity to secure their playing and become confident before diving into other repertoire. The series includes a ton of great pieces in various textures and styles. I still would have liked to see more repertoire from various eras to encourage historical awareness but you have to place this series in the context of actual learning. Use the books for half the session and the student will enjoy a wealth of knowledge, educational content, and some pretty great pieces as well.